The duo met while attending Carnegie Mellon University and collaborated on their first song together during their senior year. A mix of lo-fi and electronica, their sound is beat-heavy and energetic. Much of their music incorporates looping and pre-recorded beats. 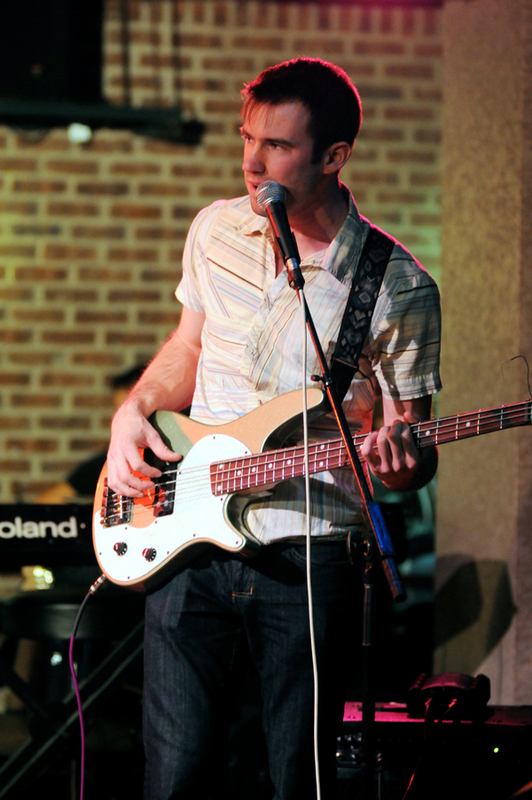 Ryan Woodring, bass guitarist and vocalist, also beatboxes while controlling the loop pedal. 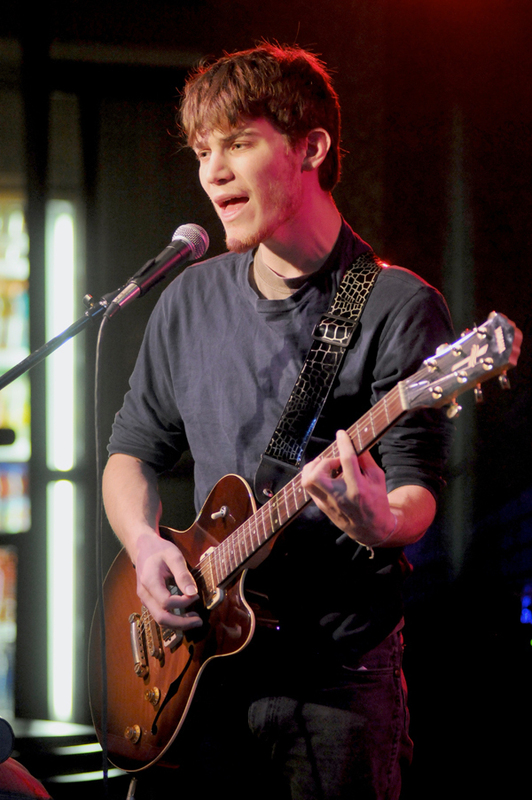 Patrick Torrez, the other half of the band, plays the guitar and keyboard. After The Wrong Airport came Modern Conversation, a quartet from Chicago. The band had never been to Pittsburgh before and was excited to perform here. Modern Conversation is currently on an East Coast tour to promote a new EP, About Time, and planned to play in New York the next day. Part rock, part folk, with a bit of reggae mixed in, Modern Conversation has a very eclectic sound. The band comprises two guys and two girls — David Courtenay is the frontman and sings vocals as well as plays guitar and bass; Jeremy Schmidt is lead guitarist and also plays bass; Janet Cramer plays drums and sings vocals; and Jackie Rada plays keyboard. Courtenay is from California, while the rest of the band is from the Midwest. The song played after that was one called “Love and Shame,” which was about “getting into precarious relationships or situations” — a state many listeners were familiar with. The group then played a spectacular Doors cover that brought up the energy level of the house as those who knew the song sang along. The band wrapped up the night with a raffle, a common occurrence at Modern Conversation shows. Audience members were encouraged to put their names and email addresses on a slip of paper and put it into the tip jar for the possibility of winning a copy of About Time. The winner of the night was senior mechanical engineering major Brian Manning. Afterward the band stuck around to chat with fans.